Three days after warning Canada about “escalation” and “grave consequences” amid a worsening diplomatic crisis, China has arrested a third Canadian national, according to Canada’s National Post, which cited a spokesman for Global Affairs Canada, the international arm of the Canadian government. No further details were provided, other than saying the Canadian government was “aware of a Canadian citizen” being detained. Global Affairs diplomatically refused to connect this third arrest to the arrest of Huawei CFO Meng Wanzhou in Vancouver earlier this month. The executive, the daughter of one of China’s most successful businessmen, was released on bail last week. The National Post noted that China and Chinese media have lashed out at Canada over the arrest of Meng. It also confirmed that the captured Canadian isn’t a diplomat or an entrepreneur. The arrest of a third Canadian citizen could cloud relations between the two countries, which has been marred amid an ongoing trade dispute between the United States and China. The National Post could not confirm the identity of the detained citizen. But third-party sources who said they spoke to the family of the person suggest the person is not a diplomatic official, nor an entrepreneur operating in China. Meng has since been released on bail and is to return to court early next year for what could be an extended legal proceeding. The Chinese govnerment and state-run media have lashed out against Canada for the arrest, which could dampen Prime Minster Justin Trudeau’s ambitions to launch free trade talks with the country. 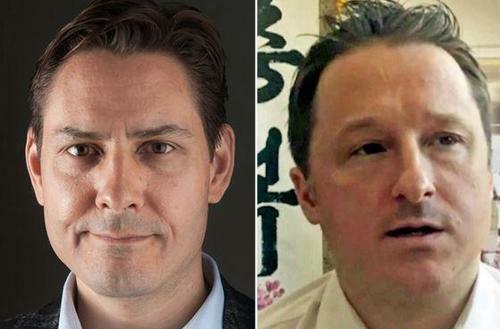 The Canadian government hasn’t learned much about the whereabouts or the circumstances of the detention of Kovrig and Spavor, as Beijing has refused to elaborate on the charges facing the two men (beyond threatening national security, presumably by being Canadian) and hasn’t released any information about where they are being held. But if they haven’t gotten the message already, any Canadians lingering on the Mainland should probably take the hint: Get out.